In 1978, I went to my first Bruce Springsteen concert. It was at the Arena in Seattle. I had just gotten back from a trip from Europe and lucked into a second row ticket. The show was just before Christmas, and Bruce and the boys played for 4 hours and five minutes. It was the best show I have ever seen. I recently watched the video for Bruce’s song, “We Take Care of Our Own.” I love the regular working Americans portrayed in the video. And the line, “Where’s the work that’ll set my hands, my soul free?” nicely sums up why I am writing my book and this blog. Despite what some in this country may think, the overwhelming majority of Americans don’t want gifts, they want a job. And the beauty of the Simply American approach is you and I can give them that job. We don’t have to ask the President, the Congress or anyone else for their permission to do this. We can create jobs for unemployed Americans just by buying any of the hundreds of thousands of great American made consumer goods that are on the market. I am no economist but even I know that if there is demand for a product, that demand will be met. And the manufacturer of that product will need to hire workers to meet that demand. So I ask you to join me and many others in becoming a real job creator. We are moving into the prime buying season and imagine the demand for American made goods you and I can create if we buy American this holiday season. Your 16 year old nephew who barely utters a word will sing your praises if you drop a Schott jacket on him this December. I mean, it’s the jacket Bruce wears. Your tea-party uncle Ken will strut like a peacock wearing his new pair of 1791 jeans made by Glenn Beck! And your wife will be pleased as punch with a new dress from Karen Kane. It is easy to buy American. If you need a start, look at all the products featured on my blog roll. We can truly take care of our own by giving them work just by buying the products they make. 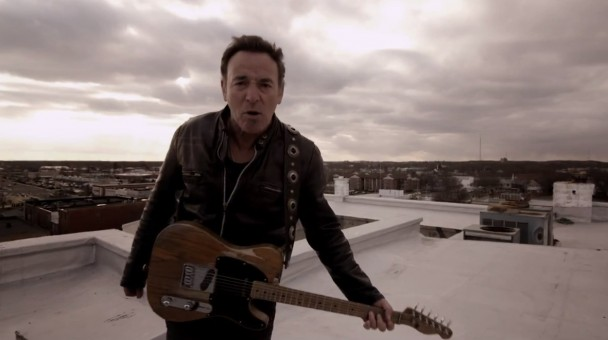 This entry was posted in american made, Apparel, Made in America, made in usa, Men's Wear and tagged American made products, Bruce Springsteen, Karen Kane, Made in the USA, Schott NYC, U.S. consumer products, U.S. made products, We Take Care of Our Own. Bookmark the permalink.